From the About page comes this great question: Does Genesis 15:1 mean “your [Abram’s] reward will be very great” or “I [God] am your great reward”? It turns out that the Hebrew is actually ambiguous. Secondly, Hebrew does have a word “the” in the form of the prefix ha-. When it’s used, it gets put on both nouns and adjectives. So “the good boy” in Hebrew is ha-yeled ha-tov, literaly “the-boy the-good.” Furthermore, some phrases (technically called “definites”) behave like they have “the.” One such case is possessives. So “my good boy” in Hebrew is “my-boy the-good” (yaldi ha-tov). As a matter of practice, though, this kind of ambiguity is rare, because of the second bit. Hebrew differentiates between “the good boy” and “the boy is good” by using “the-boy the-good” (ha-yeled ha-tov, as we’ve seen) for the first one, and “the-boy good” (ha-yeled tov) for the second. Unfortunately, the word for “great” here is harbeh, and, together with m’od (“very”), it forms the invariant phrase harbeh m’od. Unlike most modifiers, that phrase never takes “the.” So “your reward is very great” in Hebrew is (as we see here in Genesis 1:15) “your-reward very great” (s’char’cha harbeh m’od) but “your very great reward” is the identical Hebrew, because, in this case, the expected “your-reward the-very-great” doesn’t exist. This means that, as a matter of translating this sentence, the Hebrew is truly ambiguous. So we have to look elsewhere for clues. One such clue might be the tenses. The first is present tense, and the second — if, as in the NRSV, it is its own clause — is also present tense. So the NRSV has to explain why the sentence doesn’t mean, “I am your shield; your reward is very great.” This seems to point in the direction of the KJV. On the other hand, tenses are notoriously idiosyncratic, and anyone who’s looked at Hebrew knows that we commonly see one tense in Hebrew and a different one in English. The commentator Rashi suggests that God is assuaging Abram on two fronts: he will not be punished, and he will be rewarded. So Rashi thinks the line means “don’t fear, Abram, I will be your shield [so you will not be punished] and you will be rewarded.” So Rashi would have sided with the NRSV. So I’m opening up the question here. Based on context, which translation do you think makes more sense? And why? “Love the Lord your God with all your heart [and] all your soul…” According to Jesus in Matthew 22:37, Mark 12:30, and Luke 10:27, this is the most important commandment. Jesus’ Greek is a quotation of Deuteronomy 6:5, and that Hebrew passage is so central to Jews that it’s part of what is inscribed on the parchment inside the mezuzah traditionally affixed to doorways. But I don’t think “heart” (or “soul”) is what the original meant in either the Old Testament or the New Testament. As a matter of anatomy, the Hebrew levav (“heart” in Deuteronomy) and the Greek kardia (“heart” in Mattherw, Mark and Luke) is what we would now call the heart in English. But as a matter of metaphor it is something very different. In English, the word “heart” generally indicates emotion. And it’s the opposite of “brain” or “mind,” which represent rationality. For example, someone who is “thinking with his heart” is being emotional and not rational. “To follow your heart” is to do what you love, even if you don’t think it’s a good idea. “A sound mind in a sound body” refers to someone who can think clearly, not necessarily someone whose emotions are well organized. “Let the mind rule the heart” means to let rationality prevail over emotion. The expression “heart-broken” refers to emotions, while “his mind is gone” refers to rational thought. It’s not that we think that emotion is literally in the heart or that thoughts are literally in the mind (though, in fact, as a matter of science, both are probably mostly in the brain). Rather, we use “heart” metaphorically to represent emotion and “mind” (or “brain”) metaphorically to represent thought. In fact, this way of using “heart” and “mind” is part of a broader, more fundamental view of people: they have emotions (hope, fear, love, expectation, sorrow, etc.) and they have thoughts. And the two are distinct. But this ontology is not the only way of divvying up what it means to be human. In the Bible, emotions and thoughts were considered to be closer in nature than they are now. For instance, in modern English “I love him” and “I fear him” are both statements about emotions, even though the emotions differ. Similarly, in the Bible, “I love him” and “I think he’s a capable ruler” were both the same kind of thing. And the levav (Hebrew for “heart”) and kardia (Greek for “heart”) were used to represent both — that is, what we would now call emotions and also what we would now call thoughts. We see levav used to represent cognition, for example, in Isaiah 6:10, which contains three pairs. “To see” goes with “eyes.” “To hear” goes with “ears.” And “to understand” goes with levav. (Matthew 13:15, quoting Isaiah, similarly pairs “understand” with kardia.) Deuteronomy 29:4 contains the same three pairs, though it has the alternative form lev instead of levav. In the same way, Isaiah 10:7 pairs “thinking” with levav. And in Ezekiel 38:10, when something enters your levav you think a certain way. The Hebrew levav is also used for emotion, though. In Leviticus 19:17, the levav is where you should not “hate.” In Psalm 27:3, the levav is connected to “fear.” And so forth. Greek works like Hebrew in this regard. We’ve already seen Matthew 13:15, but that’s a quote of Isaiah, so it’s not necessarily reliable. But there are plenty of other examples. In Matthew 9:4, when Jesus knows the scribes’ “thoughts,” he knows what is in their kardia. In Matthew 15:19, thoughts come from the kardia. Mark 8:17 connects a “hard kardia” with inability to understand. And the kardia is also where people are happy (as in Acts 2:26), afraid (John 14:27), and so on. So, as with Hebrew, Greek combines thoughts and emotions in the kardia. And again this is unlike English, which separates them, using “heart” not just to include emotions but, importantly, specifically to exclude thoughts. So while it’s tempting to translate levav and kardia as “heart” — particularly because “love” and “heart” go together in a way that “love” and “mind” do not — it’s also a severe mistake, because “heart” excludes thoughts, and what we need is a word that specifically includes them, along with emotions. 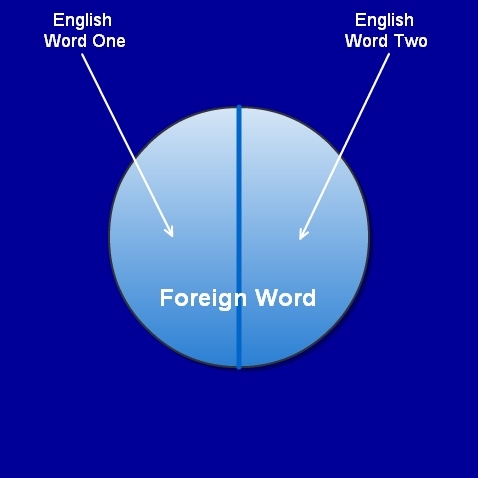 In isolation, finding such a word in English is no easy task, as the issue is not just linguistic, but also ontological. Modern English speakers think there are (at least) two kinds of internal human events: thoughts and emotions. 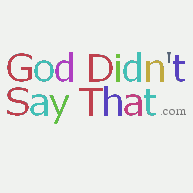 Ancient Greek and Hebrew speakers thought there was one. And the point of levav and kardia is to include them both. Is a Book Report a Translation? If you think the Hebrew refers to the totally of God’s creative work, both the earth, the heaven(s), the underworld, the physical, the metaphysical, the spiritual, the holy and the demonic, then The Message conveys that quite well. Perhaps, but that doesn’t make The Message a good translation. It makes it a nice elucidation (perhaps), or a nice commentary (perhaps), but I don’t think that explaining what the text refers to is the job of the translation. Similarly, a common theme among Bible translators is to decide a priori how complex the English should be. In the same thread in which I mentioned The Message, Dannii noted (correctly in my opinion) that that version is “is written in a low, conversational register” which “obscures the differences in genre and register between books and passages,” to which Peter Kirk added (also correctly in my opinion) that “most other English Bible translations are written in a consistently formal and high level register, marked all the more by the presence of obsolescent words and syntax,” so they do the same. 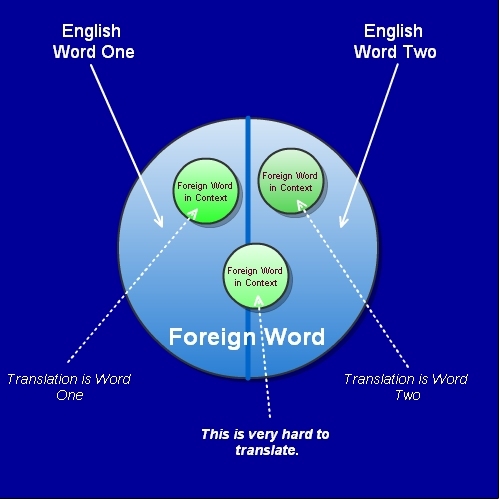 At issue, I think, is two different ways people use the word “translation.” When I use it, I mean an English rendition that as closely as possible captures the Hebrew/Greek/Aramaic of the original. It’s not up to me to tell people how to use words, so they are free to keep using “translation” however they like. But I think it’s important to keep the difference clear. I also wonder how close the English has to be to be called a “translation” even under the broader use of the word. Can a book report be a translation? How Much Meaning Do You Want? At the end of my discussion of anthropos, I concluded that one meaning of anthropos is “man,” and that we see that meaning in Matthew 12:10. Here I want to suggest that, even so, “man” may not be the best English translation for anthropos. Here’s why. At first glance, (1) looks like the obvious choice. Nasa means “traveled,” and it is what Chris did. We know he didn’t walk, because otherwise the verb would have been halach. However, in favor of (2) is the fact that the original Hebrew doesn’t necessarily stress the means of transportation, while the English in (1) does. The Hebrew is as neutral as possible about how Chris got to Tel Aviv, while the same cannot be said for (1). As a speaker of English and Hebrew, I know that (2) is often the best translation of the Hebrew. To look at the matter another way, imagine starting with an English sentence, translating it first into Greek and then back into English. I think we can agree that if we’re doing things right, the English that we start off with and the English that we end up with will be the same. Part of the translator’s job in this case is to figure out whether the Greek text means to emphasize “man” over “woman” (in which case “man” is the better translation) or whether the maleness is incidental (suggesting “person,” “someone,” etc. as the better translation). It’s pretty difficult to discern these nuances from the text, which is but one of many reasons that translation is hard. Two thousand years hence, will scholars be arguing over whether “funny” should be translated into the then-equivalent of “humorous” or the then-equivalent of “odd”? Will they even know enough to ask the question?